November brings us much cooler weather in the Ohio region. At least we get comfort food to go along with it! Thanksgiving goodies such as turkey, mashed potatoes and cranberry sauce should generally be kept to human members of the family. We are going to take this food-filled month to bring up the ever-increasing problem of pet obesity. Obesity in our animals is a growing problem. Other than the obvious symptoms of being lethargic, letting your dog or cat’s weight creep up causes other issues with their health. One major issue is joint pain and arthritis. Older animals, or animals with joint abnormalities should always be kept a healthy weight. Their joint problems can worsen with each pound they gain. 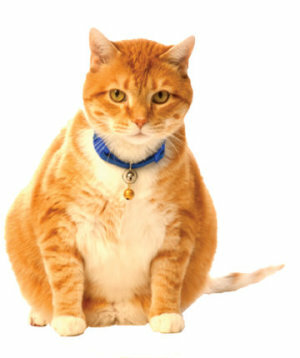 Overweight animals without joint problems will develop issues sooner than their thinner counterparts. Overweight cats are especially prone to hepatic lipidosis, or fatty liver disease, which can lead to liver failure and death. Dogs and cats are both prone to heart problems with increased weight. The heart has to work much harder to pump the blood through these animals’ blood vessels. Yet another weight-related disease which affects both humans and animals is diabetes. Overweight and obese animals are much more likely to succumb to this disease, and are generally treated with insulin injections and careful feeding routines. The most shocking effect of obesity in our pets is decreased life expectancy. Studies have shown that animals that are even just a few extra pounds overweight may be losing years of their lives. Worried about your pet’s weight? Please call and make an appointment with your veterinarian. They will give you a target weight for your animal and advise on how to help them lose the weight.